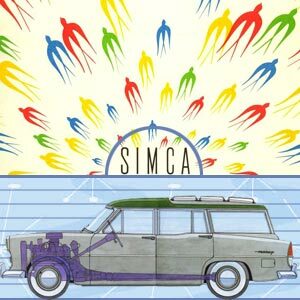 The Simca Vedette (1955-1963) workshop manual is scanned from an original Simca workshop book which was in a superb state. This workshop manual does have a total of 161 pages. Each section contains practical disassembly, repair and assembly procedures. Some references and illustrations in this manual refer to previous models. A number of the Illustrations contained here in, are in French. However, the American Translation of these Illustrations will be located directly below in the text copy. The parts book is made for all the Vedette models, inclusive the very rare Vedette Marly and the Vedette Presidence. Or if you like to purchase the Simca Vedette (1955-1963) workshop manual, click on the "Add to cart" button.